Mount Croghan is one of the three oldest towns in Chesterfield County. Cheraw and Chesterfield are the other two. The name of the hill around which Mount Croghan was built, and which has been the only name the community and town have ever known dates back almost two hundred years to 1780 and the Battle of Camden. Mount Croghan got its name from Major Croan, a French officer who was famous during the Revolutionary War. While traveling to Virginia after the Battle of Camden, Major Croan made his camp on a hill just above the present site of Mount Croghan and gave it this name. By 1809 Mount Croghan was a voting precinct and had a Post Office. Elizabeth Baptist Church is another landmark. The first covenant of the church was constituted by Elders Joel Gulledge and Samuel Timmons in 1825. 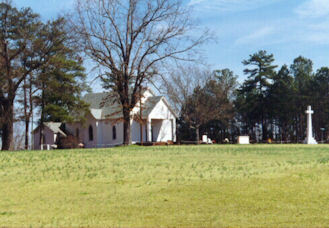 The cemetery of Elizabeth Church is one of the oldest in the county.